New research published highlights that National Nature Reserves (NNRs) managed by Natural England offer huge value for money, with a wide range of economic, environmental and societal benefits totalling £36 million. 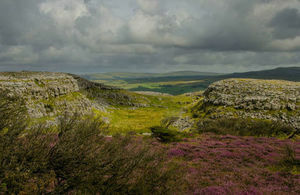 Our NNRs are some of the most important sites for wildlife and geology in England. They conserve biodiversity and geodiversity, provide an outdoor space for education, learning and research, and opportunities to access, enjoy and engage with our natural heritage, championed within the Government’s 25 Year Environment Plan. A new Natural Capital Accounts report published today provides an innovative insight into the health of our NNRs as natural assets, as well as demonstrating the ecosystem services, benefits and value they provide to society in one extended balance sheet. The report will provide a new perspective to inform investment and management decisions around NNRs. The report shows the most significant benefits provided by our NNRs are wildlife, positive cultural impacts, and climate change reduction through carbon sequestration. The report estimates that the 141 NNRs managed by Natural England will remove up to 185,000 tonnes of carbon dioxide equivalent per year from our atmosphere providing an annual benefit of approximately £12 million. NNRs are an important recreational resource, attracting an estimated 5.5 million visits a year. NNRs do not charge for access so these visits represent free recreational experiences which we estimate are worth £22 million per year. Other benefits of NNRs, such as wildlife and health improvement, and water quality and pollination, are also highlighted in the report, although we are not yet able to place a monetary value on them. National Nature Reserves are the crown jewels of our natural heritage, important natural capital assets that need to be understood to ensure they are resilient so we can continue to provide environmental, societal and economic benefits for generations to come. I believe that these accounts demonstrate not only how important National Nature Reserves are, but also how a more inclusive approach to natural capital accounting is essential if we are to invest in, and manage, our natural capital for the full suite of benefits that they offer. Natural Capital Accounting organises the available evidence, quantifying and expressing NNRs in monetary terms where possible, demonstrating the benefits of investment. Like other assets, the NNRs will continue to provide benefits if they are maintained and invested in. Natural Capital Accounting is an experimental accounting method which has been used by the Environment Agency, Forest Enterprise and the Royal Society for the Protection of Birds.